At least 35% of the root canal walls remain non-instrumented during the preparation due to the complex endodontic anatomy. Shaping produces smear layer which accumulates on the root canal walls and obstructs the tubules thus limiting their disinfection during irrigation. EndoUltra is an endo handpiece which has been specifically designed for intracanal activation of the irrigant during the final rinse, prior to the filling of the root canal system. 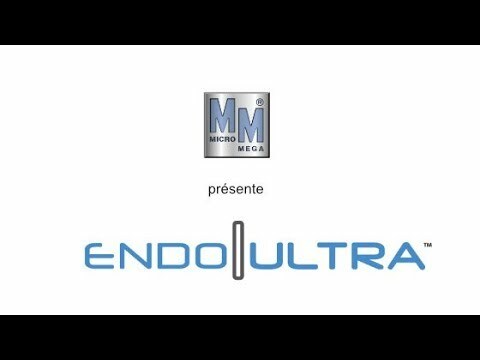 EndoUltra uses the ultrasonic technology at a preset frequency of 40kHz to disrupt biofilm, remove clogs in tubules, improve penetration of the irrigating solution and reduce bacteria level through sono-chemistry.